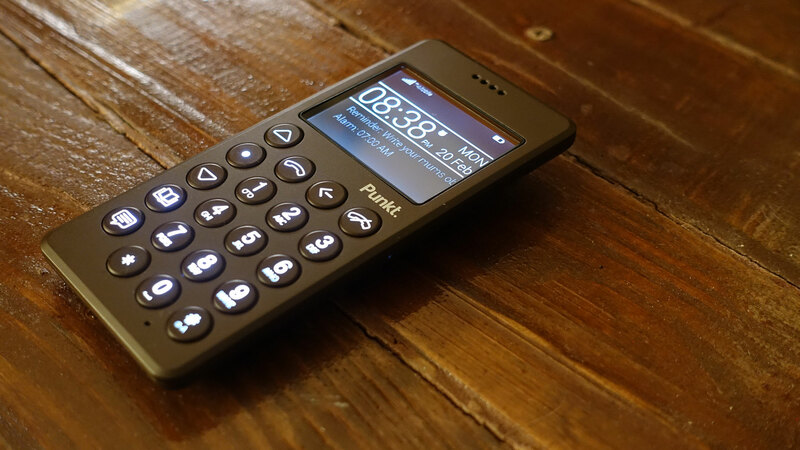 Punkt's MP01 is a minimal treat for people wanting a simple but flawless phone—and willing to pay top dollar for a few details done very well. It's 4.5 inches long, .6 inches thick and 2 inches wide. It weighs 3.1 ounces, uses 2G GSM networks and is $295. Two-hundred and ninety-five American dollars. There's a 2-inch glass display, bluetooth and a USB charger. It gets about 20 days' standy on a charge, or about 4 hours of talk time. You can buy it in black, dark brown or white. Jasper Morrison's is an excellent if not entirely harmonious design, with clean lines and clever angles that don't quite conceal its thickness. The front resembles a Braun ET 55 calculator, the back an electric shaver of similar vintage. The Up / Down / Select buttons on the left take a minute to get used to for those accustomed to the directional pad that most dumbphones have, but it's ingenious, thoughtful work: it does everything you want it to without subtracting necessity or concealing complexity. The Brick, a similar device designed by Art. Lebedev Studio, charms with its pixelated black and white look. Punkt adopts a similar mono aesthetic, but takes it in the other direction, with a 160 ppi-display, slim modernist type and a much more refined UI. Simplicity—"digital detox"—is enforced by the lack of installable apps, but made pleasing by the cleanliness of the built-in ones. There are individual buttons to open the address book and the messaging programs. Both are perfect. You can set reminders and alarms and view a calendar. As with the Brick, these are frustratingly not hooked up to one another: you can't see or set reminders in the calendar. It's not a big problem, but it's a feature that seems like it should be there, and would be great to have. The home screen shows the time, date, battery life, network connection, the next reminder and alarm time. That's it: no Twitter and no Facebook, no music, no syncing. Within a couple of minutes you'll have learned and exhausted the Punkt's possibilities and be familiar with your new tool. My favorite thing about it is the audio theme: birdcalls! They're all cleanly sampled and there's a surprisingly decent speaker tucked away somewhere, giving messages, calls and alarms an uncanny charm--so long as you like birds. A few basic rings and bleeps are offered too for those that don't. You can listen to them all on the website. The predictive text is excellent: I found myself typing unexpectedly well for a keypad device and enjoying it to boot. With this thought in mind, I think a note-taking feature would enhance the MP01 without sullying its minimalist focus. (Reminders are limited to 200 characters). I'd like an MP3 player, too, but now I'm designing a different phone. The MP01's functions should be deeper than they are, but this is nonetheless the minimalist handset for those willing to pay for it: more practical than Johns' Phone, more complete than the Brick, but with none of the mess or poor design of cheapo burners.